Steps on how to generate quarterly VAT reports in JuanTax. In your dashboard, go to Value Added Tax then proceed to 2550M/Q. After that, click the Generate Report (plus icon). After generating the report, you would automatically be prompted to the SLSP tab, where you could start adding your transactions. The grid of the SLSP Data tab has many icons which lets you Add, Delete, Import, Export as well as Edit ATC and transactions. You can also refine search and navigate through your list of transactions. 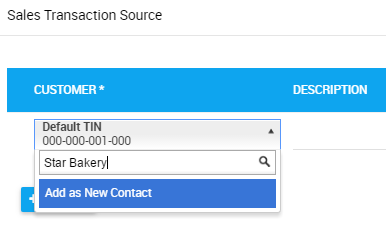 You can start adding transactions by either: (1) Adding them manually or by (2) By importing CSV format transactions. Proceed to the SLSP DATA tab and click either the plus icon (Add Sales Transaction(s))or the CREATE SALES TRANSACTION button. 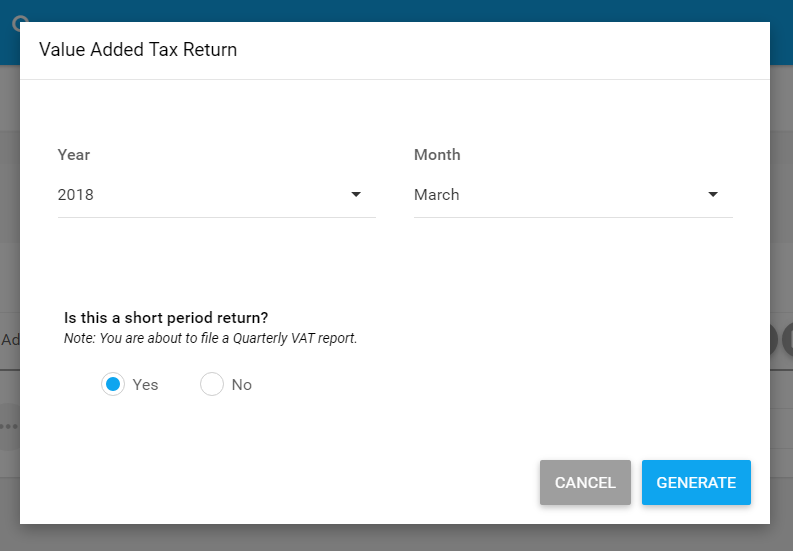 Once added, you can already start adding other information such as Description, Reference No., Date, Tax Type, Category, Amount and ATC. Hit SAVE buitton to continue. You can also import your transactions in bulk for your 2550Q report. 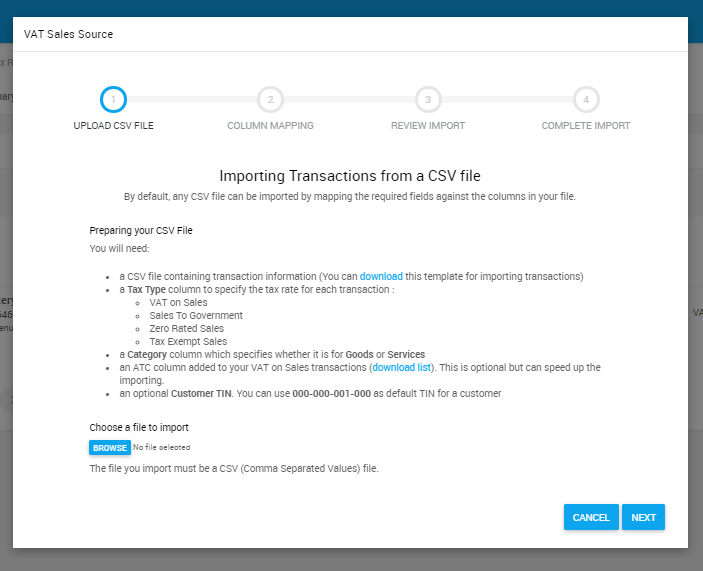 All you need to do is to have a CSV file containing your transaction information. Click the Import Sales Transaction(s) button to begin. 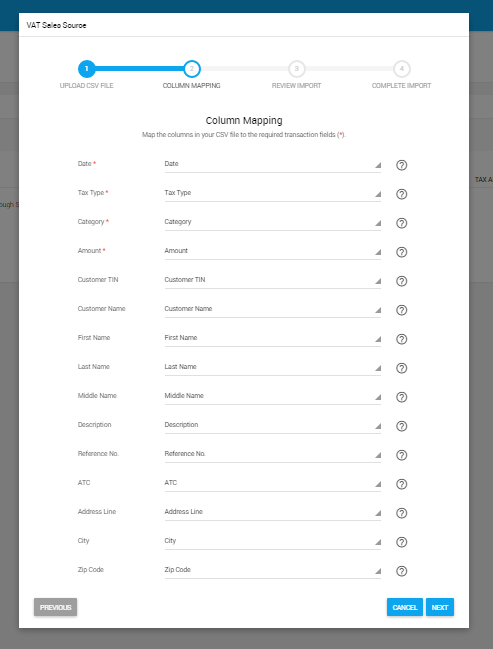 a. CSV file - This is the actual CSV file containing fields such as Date, Tax Type,Category, Amount, Customer TIN, Customer Name, First Name, Last Name, Middle Name, Description, Reference No., ATC, Address Line, City and Zip Code. b. ATC Codes - As for the ATC field in the first CSV file, you can choose within the ATC codes present in this CSV spreasheet. 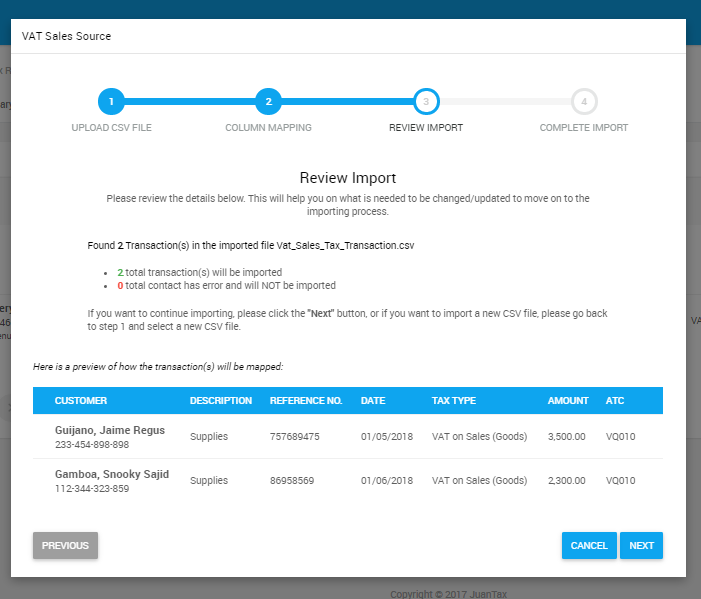 Once you had completed the CSV file, you may now proceed on importing it to your 2550Q report. You need to go back to the Import Transaction(s) modal and click the Browse button. 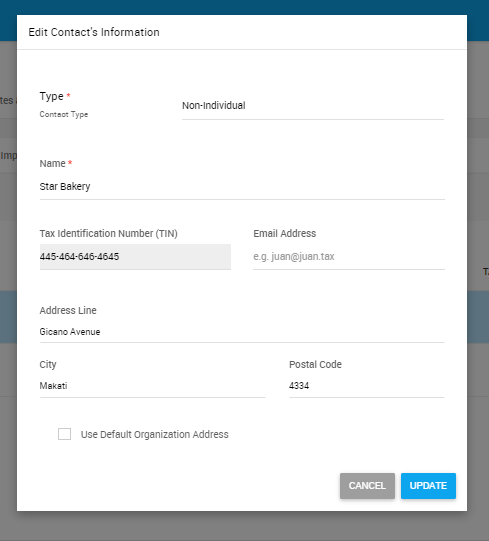 Once you've imported some transactions, there would be instances that fields such as Address would become incomplete, since it's not part of the CSV file, but no worries because you can easily fill this one in JuanTax. 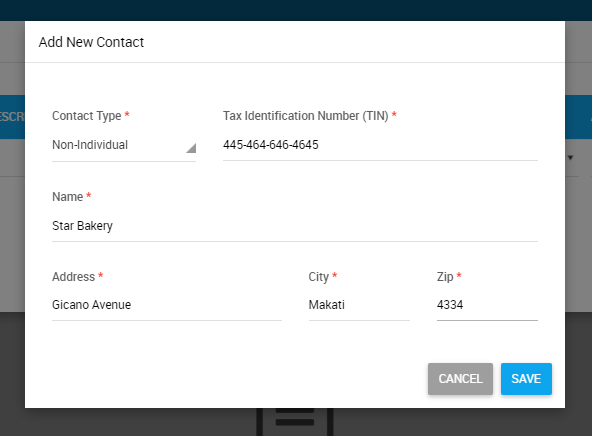 Mark the checkbox of the entry, then click the Edit Contact to start editing your contact. Modify some of the information in the window such as Contact Type, Name, TIN, Email address, and Address Line. Click Update button to continue.